California Gov. Jerry Brown (D) is going to great lengths to oppose President Trump’s plans to pull the U.S. out of the Paris climate accord. 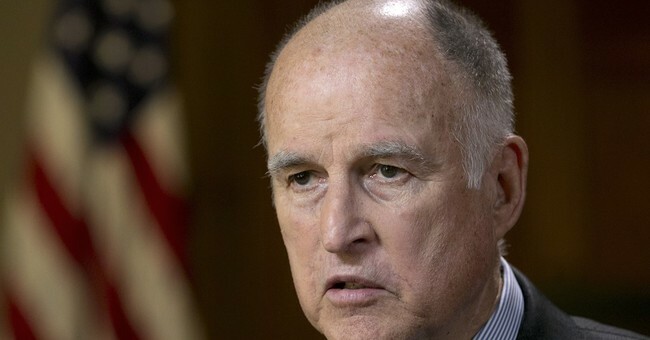 In an interview with Politico, Brown shared his plans to fly to China to rally support for his anti-climate change agenda. “I’m on the side of angels,” he claimed, adding that Trump's decision to withdraw from the Paris agreement is "insane" and California will "resist." To answer the White House, Brown is considering establishing a climate summit of like minded governors, Politico reports. Trump announced last week that he’d be taking the U.S. out of the Paris agreement because it punished businesses and would be detrimental to our economy. Joining Brown in his campaign against the president is New York City Mayor Bill de Blasio. In a tweet following Trump’s announcement, De Blasio promised that he would sign an executive order upholding the environmental mandates. As Hot Air's Jazz Shaw noted, De Blasio's order may have little "practical effect," but it could certainly make life harder for New York businesses as they struggle to meet the order's strict environmental regulations.